Of the vast and exotic water world traversed by indigenous Central Carolinian (Micronesian) navigators aboard tiny outrigger sailing canoes using what is now referred to as “traditional ecological knowledge,” the American environmentalist, Ken Brower, observed lyrically that, “there are no purple mountains’ majesty in the Central Carolines, no amber waves of grain. There is the ocean. There is the blue, wind-kerneled fields of the Pacific and the mountains of following seas. The canoe was the means of escape into that big country. The canoe brought drama into Carolinian lives, and heroism. It loosed Carolinians on the vastness of the planet and it kept them in touch with the rest of mankind.” (Brower 1984, 103-104). Around the same moment that Brower was writing about the remarkable story of the unabated survival of Central Carolinian traditional voyaging culture through centuries of five colonial administrations, political leaders of the Micronesian region, of which the Central Carolines are a part, were in the final stages of establishing new, modern, quasi-independent nations in “free association” with the United States, the terms of which would provide economic assistance and visa-free travel to and residence in the United States to the citizens of these new nations. At the end of the second decade of the 21st century, the canoe of free association — something of a euphemism for neocolonialism — with (or under) the United States, finds over half of Central Carolinians living outside their island, and firmly in the country where “God shed his grace on thee,” to riff off the same song (America the Beautiful), from which Brower himself riffed his ironic characterization of the land of oceania. What does this tale of indigenous Micronesian diaspora and globalization of America have to do with American Indians? The answer: how the shared building and sailing of traditional outrigger canoes by displaced Micronesians in the eastern prairies of Dakota can center the concept of transindigeneity to give us a good analytic on native cultural resurgence, and a pretty good practice to counter the persistence of US settler colonialism. Vicente M. Diaz is Pohnpeian and Filipino born and raised in Guam. He joined the faculty in American Indian Studies at the University of Minnesota, Twin Cities in 2015. Before then, Diaz served on the faculty of American Indian Studies at the University of Illinois Urbana Champaign (2012-2015), Asia/Pacific Islander American Studies at the University of Michigan (2001-2012), and History and Micronesian Studies at the University of Guam (1991-2001). At Minnesota, Diaz heads the Digitizing Ancient Futures, a project that melds indigenous Micronesian seafaring knowledge and advanced visualization technology (virtual/augmented reality) in the interest of cultural loss mitigation and alternative and indigenous knowledge production practices. 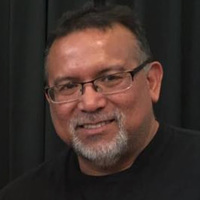 He is also heading another project that explores interdisciplinary collaboration between humanities, arts, and STEM inquiry with an ongoing collaboration between Micronesian residents of Minnesota and Dakota communities around shared cultural revitalization. Diaz is a key figure in Native Pacific Cultural Studies, and a leader in efforts to build global and comparative indigenous studies. His research and teaching interests include de-colonial and indigenous historiography and cultural criticism, indigenous cultural revitalization, traditional seafaring, and Pacific Islander film, video, and digital mediation. Trained by navigators from Polowat atoll (utt Wenemai, Werieng school) in the Central Carolines, Diaz is also the former Coordinator of the Micronesian Seafaring Society, the founder of the Guam Traditional Seafarers Society, the utt Sahyan Tasi Fachemwan, producer/director/writer of the documentary, Sacred Vessels: Navigating Tradition and Identity in Micronesia (1996), and author of Repositioning the Missionary: Rewriting the Histories of Colonialism, Native Catholicism, and Indigeneity in Guam (University of Hawai’i, 2010).